Some of us are more prone to running injuries than others for whatever reason – it could be running in less supportive shoes or standing on hard surfaces for long periods of time. The bummer is once you are injured, running must take a back seat until you seek treatment. The Hatfield Strap featured on the Joyful Organizer! If you need a little help stretching out,the Hatfield Strap is a good option. It’s designed to stretch your foot, calves and hamstring in a way you haven’t been able to before. It’s a great way to relax after a hard workout or a good way to break into stretching if you’re just starting to workout. It’s comfortable, effective and easy to use, even for a beginner. 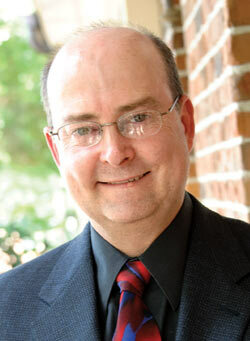 Keith Hatfield, ATC, PA-C, began his healthcare career as an athletic trainer, working at Creighton University in Omaha, Nebraska and then with the Kansas City Royals baseball organization. Plantar fasciitis affects more than 2 million people ever year and some athletes, especially runners, suffer from the condition for their entire lives. Sports Illustrated ran a story in 2011 titled, “Plantar fasciitis — the most maddening injury in sports.” If you’ve suffered from PF, then you know all too well that can sideline you for weeks, months—even years in severe cases. 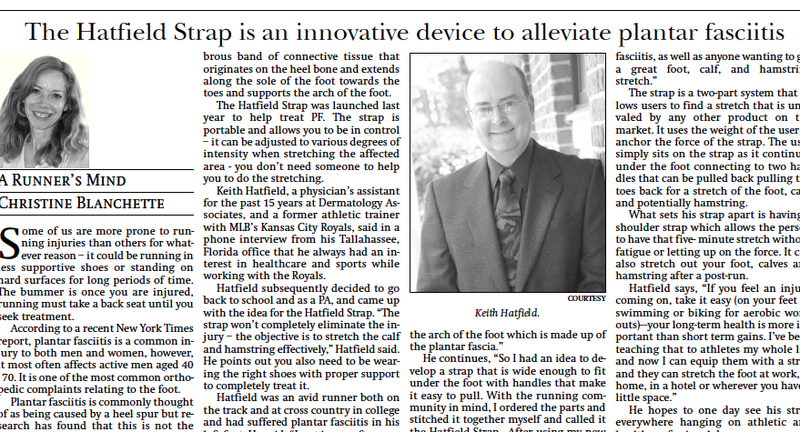 Help Is on the Way for Plantar Fasciitis! Keith Hatfield, a former athletic trainer in the Kansas City Royals system, has spent 10 years as a certified athletic trainer and 15 years as a physician assistant. So he’s seen his share of injuries in athletes. He’s also suffered from one himself: plantar fasciitis, an inflammation of the band of tissue that runs across the bottom of your foot and connects your heel bone to your toes. Gave my strap to my podiatrist. Was most impressed. Not just for plantar fasciitis, such a great and innovative stretching device that helps your pre workout warm up and post workout recovery. After a long run it’s the first thing I grab to help with my hamstrings, calfs, IT bands, and other lower body stretching. Also excellent after strength training or HIIT which puts all that stress on the hip flexors. I can absolutely tell a difference the next day if I don’t use it. Great product! Would recommend to anyone physically active. Copyright © 2015 CK Industries of the Big Bend. All Rights Reserved. 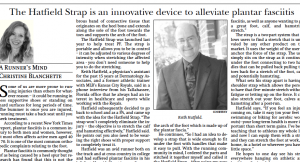 Hatfield Strap™ is a registered trademark. Patent Pending.